Comments: Dorothy Emory (Nee: ) | | 1901-1920 | Comments: *** PLEASE NOTE: Photograph was copied from eBay and I do not have the original, nor any additional information. 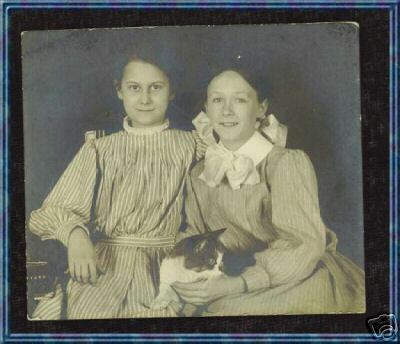 All identifying and genealogical information was provided by the seller on eBay with the photograph. However, in *some* cases I may have done a little research on the name and added it to the comment field also as, "NOTE:", to help a researcher with the photograph. *** Id'd on back as: "DOROTHY EMORY & FERN WILBER"